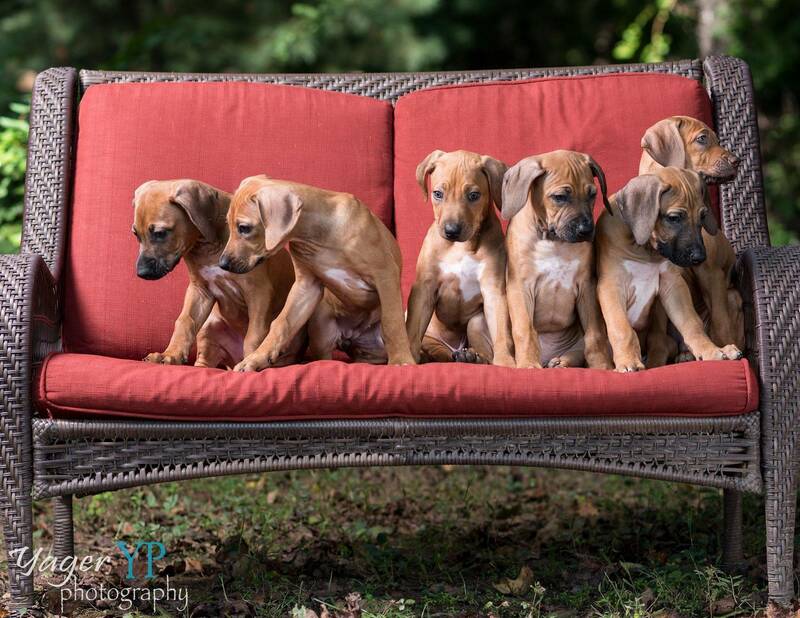 We currently have two Ridgebacks living with us. I will never be the type of breeder that has more than 4 dogs in their home because it does not suit my lifestyle. I do work full time and I just do not have the time it takes to exercise 4+ dogs. Keeping a low number of dogs means that I can concentrate on the dogs I have in my home, and be the best support system for my current owners. Having a low number also affords me the opportunity to be able to go on vacation and enter canine competitions without it being a major undertaking. Ember lives with us in Maryland. She finished her AKC Championship in September, 2015, and her ASFA Field Championship in March of 2017. 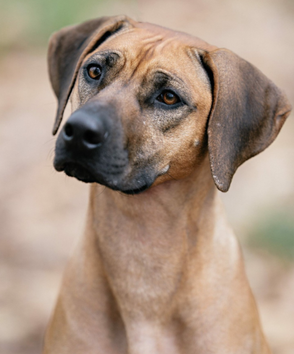 Ember was bred by Orangewood Ridgebacks. please visit her page here. Harper lives with us in Maryland. She shows great potential for both conformation and the coursing field as well as any number of other performance activities. Harper is a Pirate X Ember baby, born here at Semper Fidelis. To read about Harper's accomplishments and follow her life story please visit her page here. Siege crossed the rainbow bridge unexpectedly in January 2016. Siege finished his championship easily in 2011 and then retired to live in the lap of luxury. Siege was neutered and not used for breeding purposes. 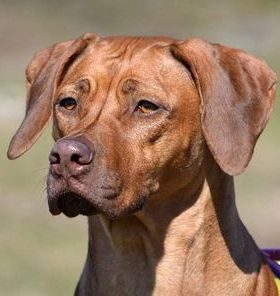 Siege was bred by intrigue Ridgebacks. To read more about Siege and his life story you can visit his page here. Mika crossed the rainbow bridge in 2013. Mika did not compete in conformation but she loved to lure course. She also dabbled in some hunting trials, Rally-Obedience and LGRA Straight Racing. Mika was not used for breeding purposes. Khoi lives with her owner in Jacksonville, Florida. 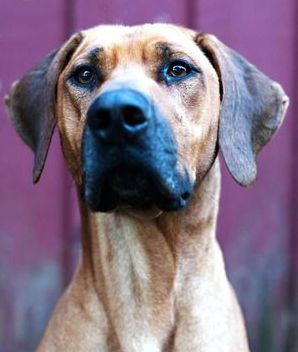 Khoi was diagnosed as hypothyroid in 2010 and was not used for breeding. 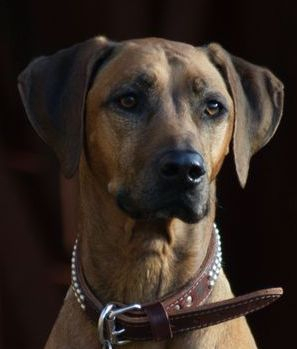 Khoi was bred by Tam Lyn Ridgebacks. can be found here on her page.